Can govt make Jan Aushadhi a reputable retail chain for generic drugs? Is Jan Aushadhi stores' expansion a challenge for branded generic players? 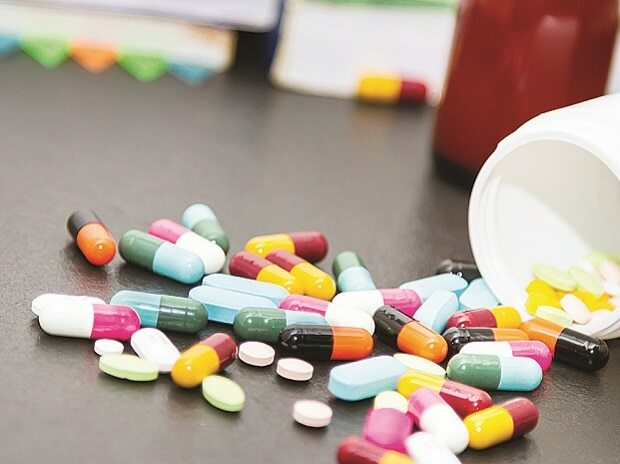 The central government is favourably considering an amendment to the decades-old Drugs and Cosmetics Rules, to specify a separate colour code for generic medicines, from branded medicines. A generic is a copy of a formerly patented drug. Of two types, branded and unbranded. Generic medicines might or might not have a trade name, as opposed to branded generics. They are made by small and large companies alike but not marketed through the doctor-channel; instead, these are pushed directly into the trade. A senior government official said they were actively considering a proposal to introduce colour codes on the lines of the red and green dots to differentiate between vegetarian and non-vegetarian food products. “Generic medicines are gaining popularity and available more easily in the mainstream channel. There is a need to differentiate these from branded generics. At times generic medicines, too, have a trade name and this leads to confusion. To address the issue, the government is considering colour codes and symbols on medicine packs,” he said. Generic medicines are made by both state-owned and private entities, whether big, medium-sized or small. For big pharmaceutical firms, it is a volume game. They sell these directly to the trade after adding a margin. From the first point of sale (distributor or stockist) to the consumer, the margin in this segment varies from 20 per cent to 90 per cent, says the industry. The Pradhan Mantri Jan-Aushadhi scheme aims to provide quality drugs at a 50-90 per cent discount on their branded counterparts. It is because of this price differential between generic and branded medicines that the government also thinks it is important to have a separate colour code. “Since the government has not specified any features to differentiate generic medicines from branded, the trade is at times duping the unaware consumer,” the senior official quoted earlier said. Last year, the Drugs Controller General of India had told all state counterparts to ensure private retail chemists maintained separate shelves for generic medicine. The government also wanted that the latter be so displayed as to be visible to a consumer. The growing popularity of generic medicines has led to private players entering a space once considered a stronghold of the government owned and operated Jan Aushadhi stores. Start-ups such as Generico and StayHappi Pharmacy are new entrants into this space, with plans for rapid expansion. StayHappi has at least 135 operational stores and signed up 297 franchisees which are to soon come on board. Genrica, begun by IIT alumni, has raised $4.5 million (Rs 31 crore) in seed funding and Series-A rounds since 2017. It has not opted for the franchise route but operates 27 outlets in and around Mumbai. Their plan is to 100 outlets across Mumbai by the end of 2019. Jan-Aushadhi stores are also expanding — from 5,000 now, the plan is another 2,500 by 2020. These stores cover 800 drugs at present, both in the chronic and acute ailment segments. 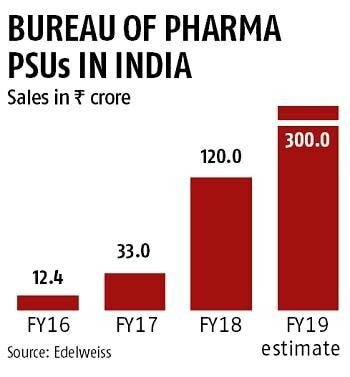 In a recent note, financial analysts Edelweiss said they expected the revenue from Jan Aushadhi stores to double to Rs 300 crore in 2018-19 from a year before. Also, that Rs 120 crore of sales of pharma public sector units during 2017-18 corresponded to Rs 600 crore of branded medicine sale. By 2020-21, assuming each Jan-Aushadhi store sells medicine worth Rs 5 lakh, the scheme’s combined revenue would Rs Rs 600 crore. Assuming an average price differential of five times, this means Rs 25,000-30,000 crore of branded generic sales, a fifth of the domestic market.